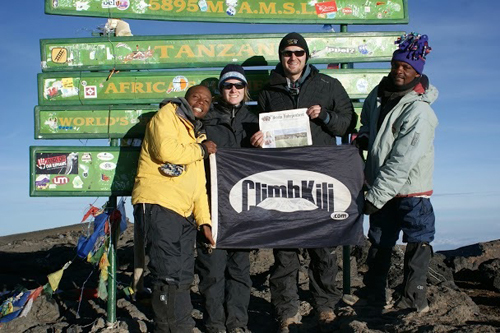 After a 6 day hike, Frank Smith (of Stow), his girlfriend Suz Gill, and guides Evance and Seraphin reached the summit of Mount Kilimanjaro at sunrise. 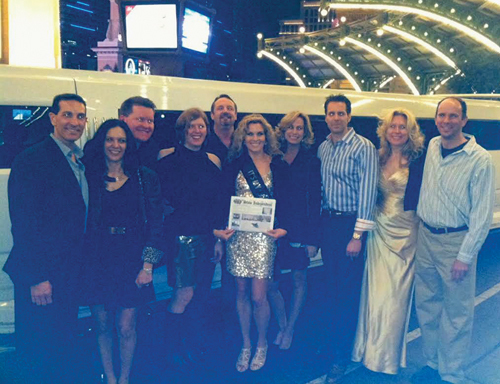 Theresa O’Riorden and friends headed to Vegas for her 40th birhtday celebration. They are pictured here in front of The Paris Hotel heading to the Marquee Nightclub at the Cosmopolitan. 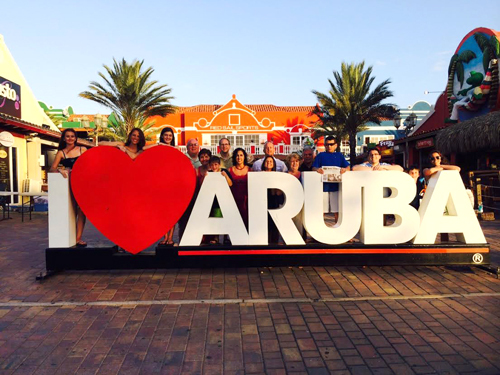 From left to right: Mike Travalent and Martha Monroe, Brian Henchey, Jen Gero, Chris Clarke, Theresa O’Riorden, Kathy Clarke, Steve O’Riorden, Jean Henchey, and Adrien Grise.